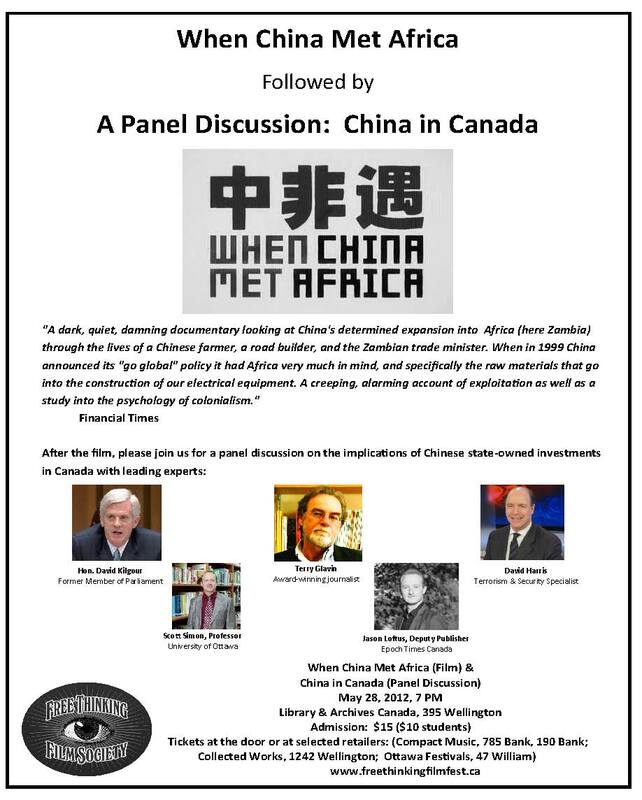 Terry Glavin: China in Ottawa, Monday, May 28: Be There. When China Met Africa (Film) - China in Canada (Panel Discussion). May 28, 2012, 7 p.m., Library & Archives of Canada, 395 Wellington, Ottawa. Admission: $15 ($10 for students). 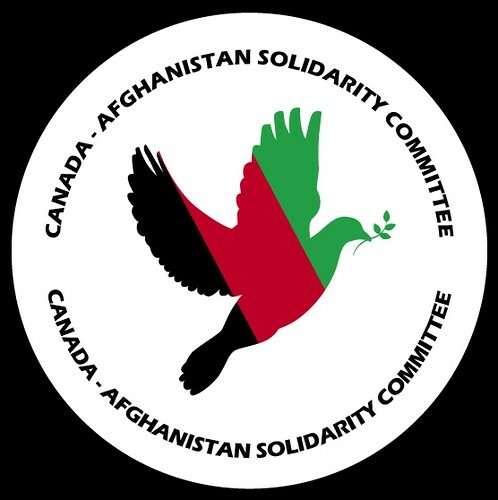 "After the film we will have a panel discussion in the implications of Chinese investment in Canada with Award-winning journalist Terry Glavin, Human Rights campaigner David Kilgour, Terrorism and Security Specialist David Harris, University of Ottawa Professor Scott Simon, and Jason Loftus, Deputy Publisher of the Epoch Times Canada. Finally, we will then have a private reception - so please join us for an evening of film, discussion, and food & drink!" Live in New Brunswick, and unfortunately I cannot make it. I hope two issues are discuseed: (1) why are Chinese interests (the Red Army?) attacking Canadian websites with malware, spyware, etc. ?, and (2) why does China have a spy network in Canada to intimidate dissidents, etc? Those two question should be discussed. Hope the panel discussio goes well. Looks like a good panel, btw.